Fat? Fat Friendly? Persistent in the face of bias and injustice? 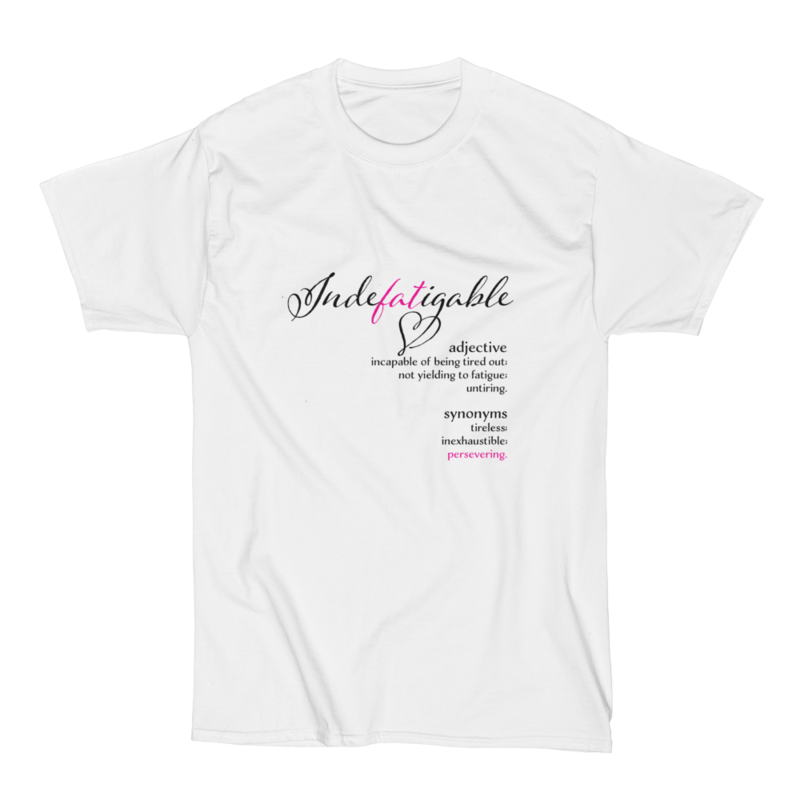 This shirt's for you — or your allies — those who are or want to be untiring, unyielding...indefatigable. Available in white in unisex sizes small to 6XL. Available in black and other colors up to 5XL at the link below. Indefatigable shirt in black, blue dusk, navy, jade dome, olive, ash, sand, sky and mint green in unisex sizes small to 5XL. 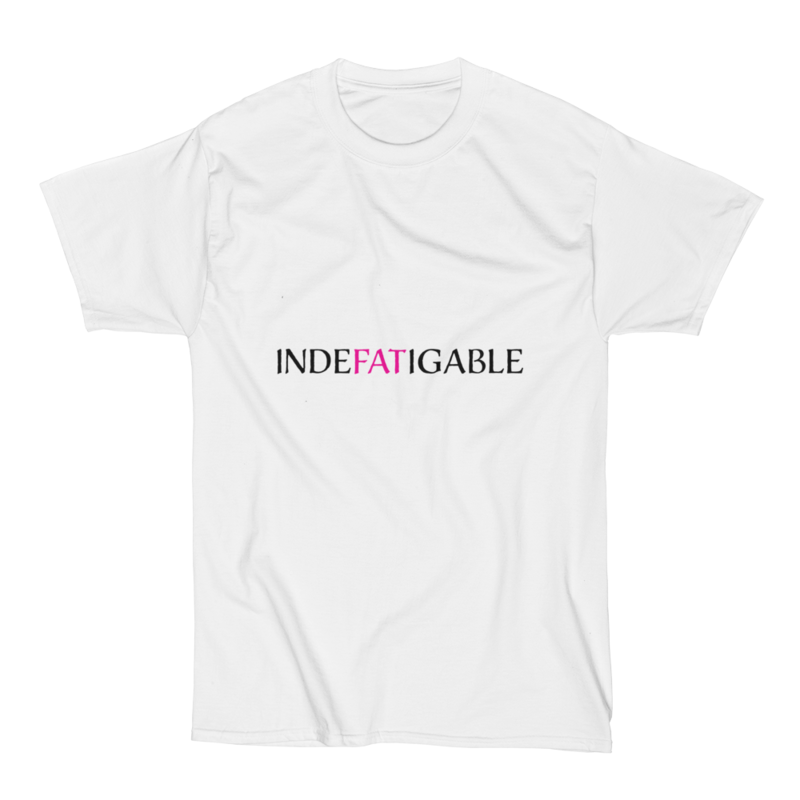 Indefatigable T-shirt in white in unisex sizes up to 6XL. Available in black & other colors up to 5XL at the link below. 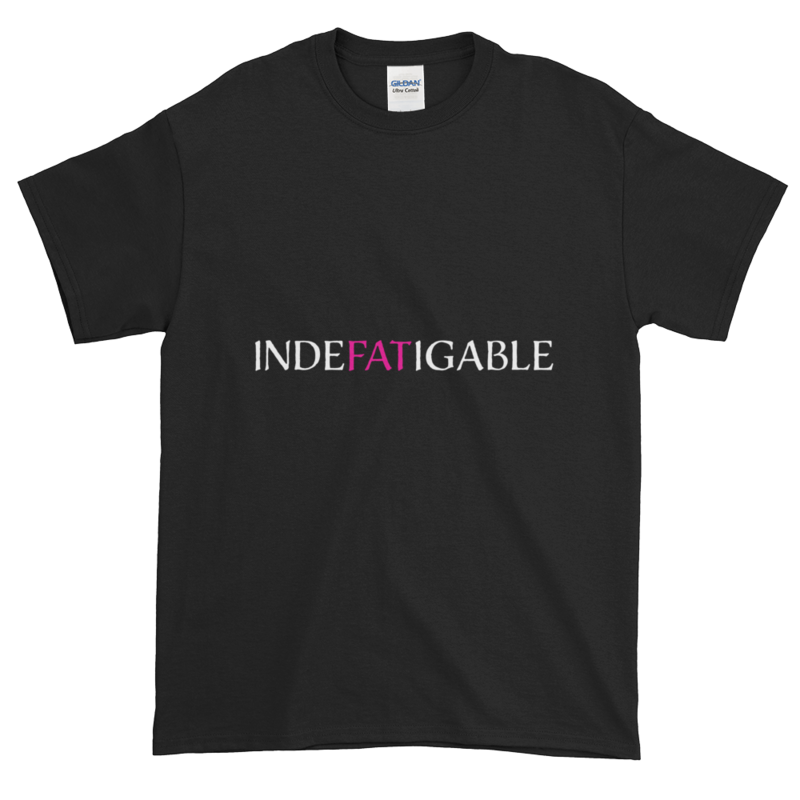 Indefatigable T-shirt in black, sport grey, jade dome, sapphire, blue dusk, sand, sky, forest & Irish green in unisex sizes small to 5XL. 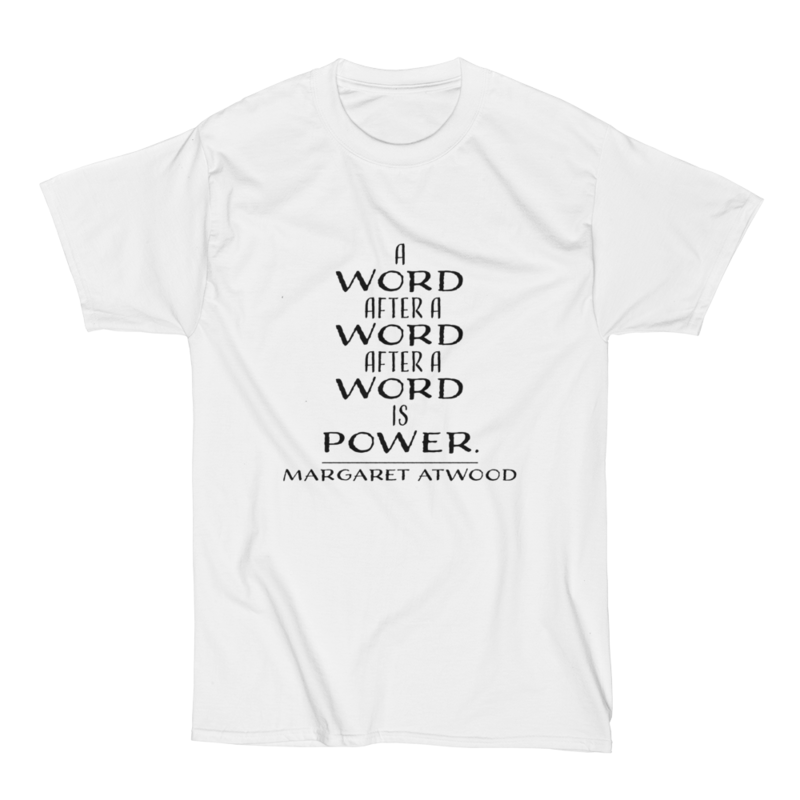 A Word After A Word After A Word Is Power — Margaret Atwood quote T-shirt in white in unisex sizes small to 6XL. A Word After A Word After A Word Is Power — Margaret Atwood T-shirt in black. blue dusk, sapphire, olive, cherry red, ash, light pink, sand, and jade dome in unisex sizes small to 5XL. 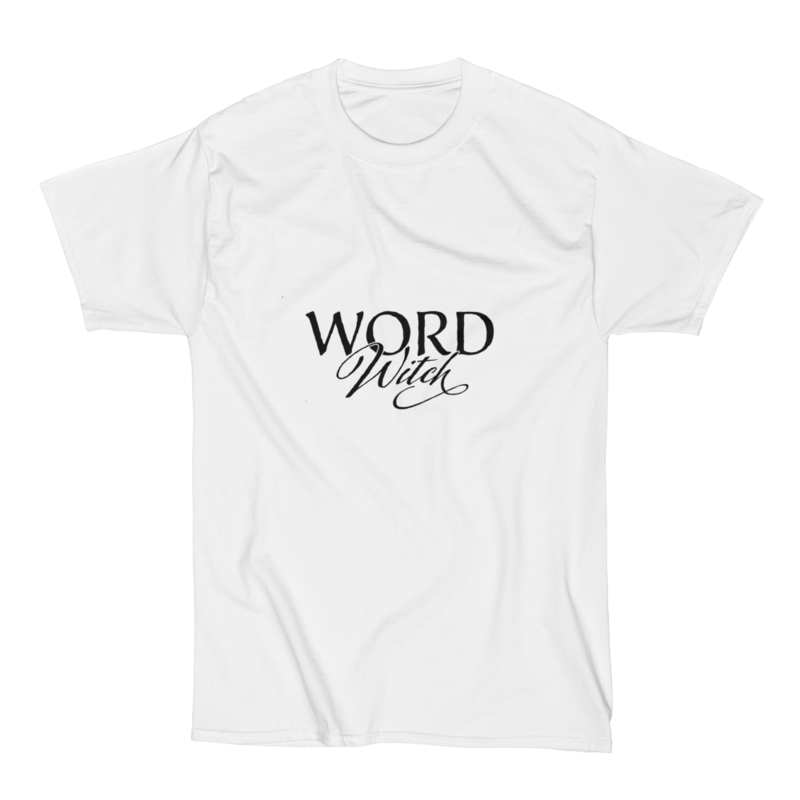 Word Witch T-shirt in white in unisex sizes small to 6XL. Word Witch T-shirt in black, sport grey, cherry red, orange, chestnut, navy, forest, sky, and sapphire in unisex sizes small to 5XL. Three Rules for Writing the Novel — W. Somerset Maugham quote T-shirt in unisex sizes small to 6XL. 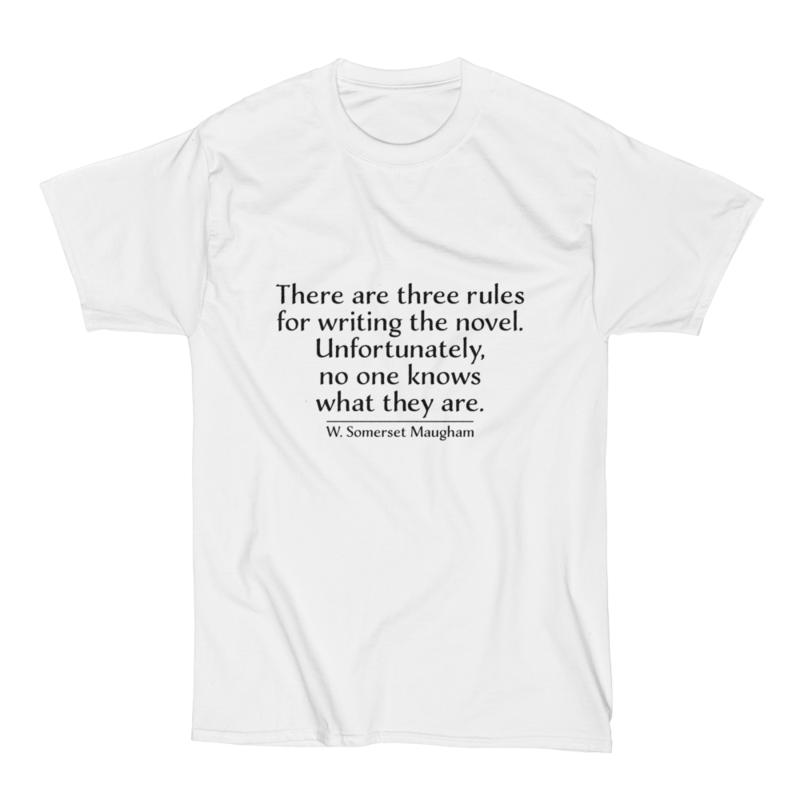 Three Rules for Writing the Novel — W. Somerset Maugham quote T-shirt in black, navy, cherry red, forest, chestnut, ash, sand, sky, and Irish green in unisex sizes small to 5XL.